Meaford’s medical centre is another step closer to opening its doors to doctors and patients, with a commitment of $250,000 over 10 years to North East Grey Health Clinics Inc.
That’s more good news for residents of Meaford Haven’s retirement community, who will appreciate their proximity to physicians and a physiotherapy office at the neighbouring medical centre, as well as immediate access to additional health and medical practitioners and suppliers in the commercial block planned for Meaford Haven. It’s expected the building could be home to such practitioners as a chiropractor, optometrist and dentist, as well as housing a pharmacy, a health food store, and a hearing-aid centre, among others. Mayor Francis Richards sits on the board of North East Grey Health Clinics. “They have already done a very successful health centre down in the Blue Mountains,” he told Council, adding that he’s looking forward to the opening of the new facility. North East Grey Health Clinics expects to open the doors of the new Meaford Health Centre within the next year to year and a half. Mick Jagger turns 70 on July 26. And as he takes to the stage during the Rolling Stones’ “50 and Counting” North American tour, he’s still wowing audiences with his performances. Check out this video of last Saturday’s duet on “Beast of Burden” in Las Vegas with 28-year-old Katy Perry. Now in its seventh year, the contest is holding local auditions, and while Senior Star is put on by “another” retirement community, you don’t have to be resident there to take part. Dale Murray at the 2011 finals. Barry Gardner channels Nat King Cole at a local competition in Pickering. These days, retirement might just be another word for your second career. 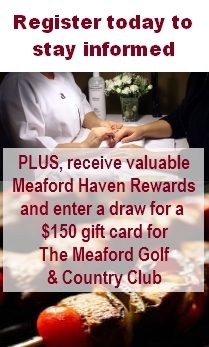 And that can be rejuvenating, says Meaford’s Liz Scott. Booking her non-profit concerts, along with her involvement as a judge and presenter with the Ontario Council of Folk Festivals, kept her in the thick of the folk music scene, and Liz would often informally recommend artists to other presenters and promoters. Gradually, she found herself being called on to program for-profit gigs, such as the Village Vibe series at the Village at Blue Mountain. She became manager for Canadian roots and blues artist Mark Reeves. And then she was asked to become Artistic Director for Ontario’s Eaglewood Folk Festival. All while continuing her career as a full-time teacher. Before long, she’d also been recruited by Firebones Management, a major Canadian artist management company, and she now represents a number of acts, including Suzie Vinnick, Wendell Ferguson, David Celia, Rob Lutes and Steve Poltz, along with Reeves. 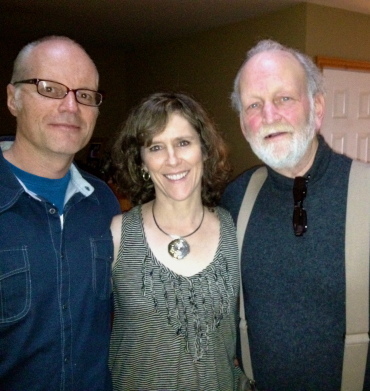 Liz Scott with husband, Rich Fletcher, left and Canadian icon Valdy. The shift hasn’t been a total breeze, but Liz is enjoying her second career. The Knight family of Meaford has a long business history in this small Ontario town. Back in 1880, George T. Knight first established a carriage shop in Meaford, and later expanded it into a sawmill and furniture manufacturing concern. His sons carried on the business and branched out, and today three successful businesses continue to operate under the Knight name: Knight’s Home Building Centre, Stanley Knight Ltd., and Knights of Meaford, Inc. 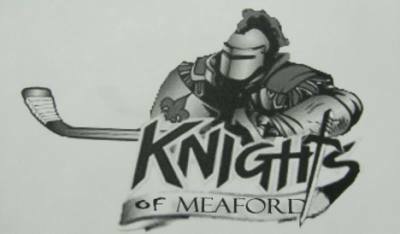 But soon the name Knights of Meaford will be known to hockey fans across the province. It’s the moniker of Meaford’s brand new Greater Metro Jr. A Hockey League (GMHL) franchise. The GMHL was founded in 2006 by retired pro hockey player Bob Russell to provide exciting hockey within a developmental league for players aged 16 to 21. Seven teams played in that first season, and by last year, 15 teams competed, with the Bradford Rattlers taking the Russell Cup in February. The team, coached by Meaford native Nathan Parrish, will play their first home game on October 17, as part of a 42-game season. The draft begins next Sunday, but the Knights already have their first player lined up: 17-year-old Georgian Bay Secondary School student Jordan Rear.